Lower the outputs below the water line in your Red Sea Reefer aquarium while adapting to Loc-Line! 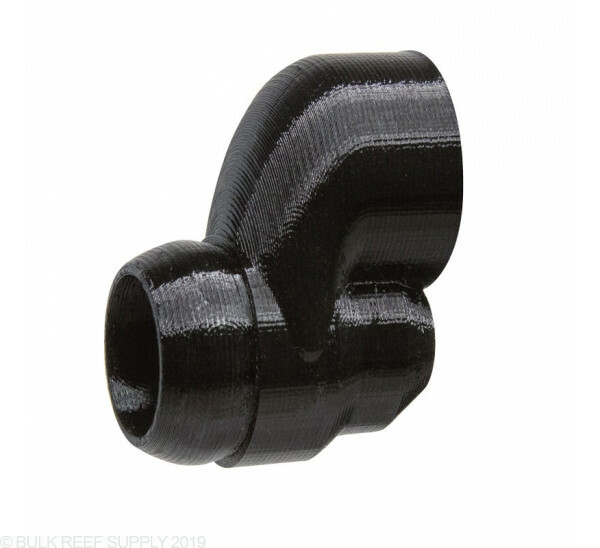 Many reefers want to modify the output nozzles on Red Sea Reefer aquariums to use loc-line style attachments, and now you can! 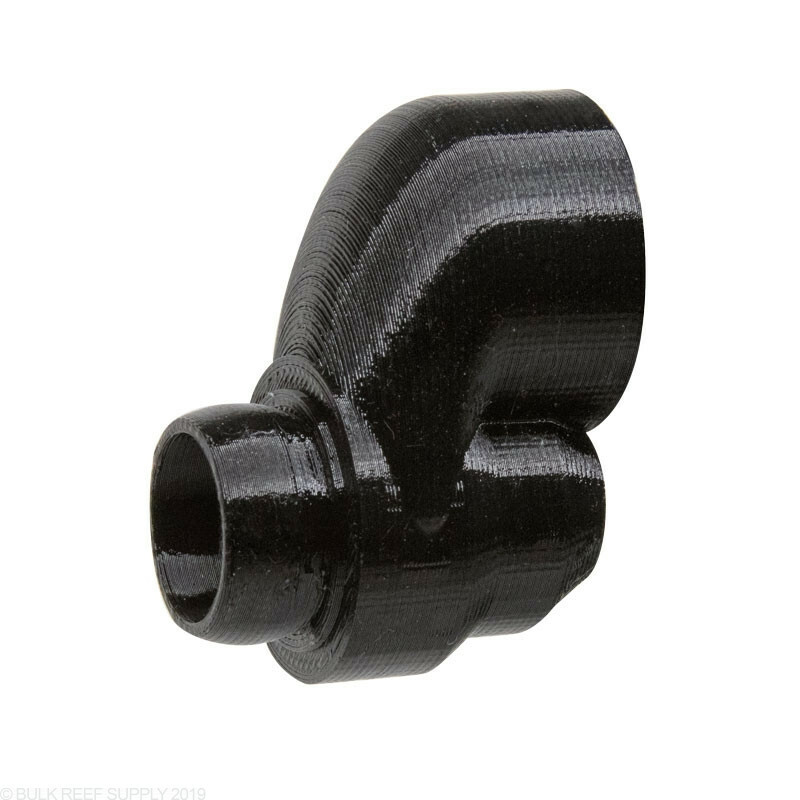 Just slip on the Return Nozzle to Loc-Line Adapter and you can then use any Loc-Line product in the proper size. 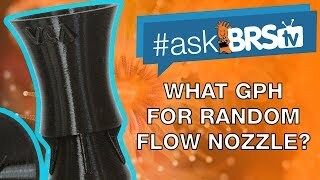 For the best results, we recommend pairing the return nozzle adapters with the Random Flow Generators that create random flow patterns without any moving parts! Lowering the return outputs in the Red Sea Reefer Aquariums can help with splashing from the return flowing back into the aquarium. 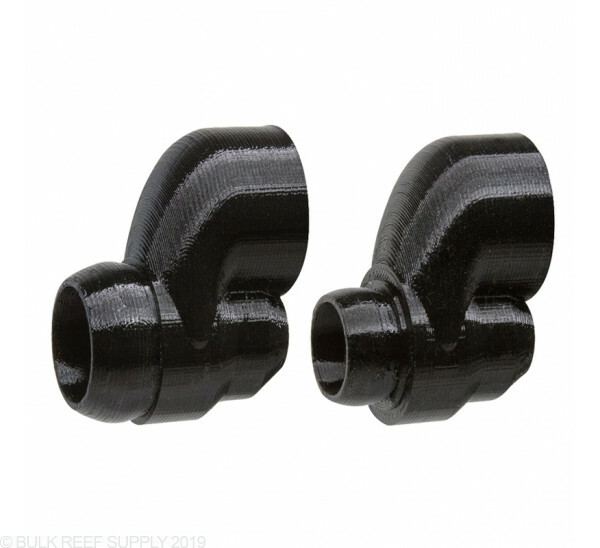 Using drop fittings give you more flexibility in the overall direction, and keeps the water from splashing around. 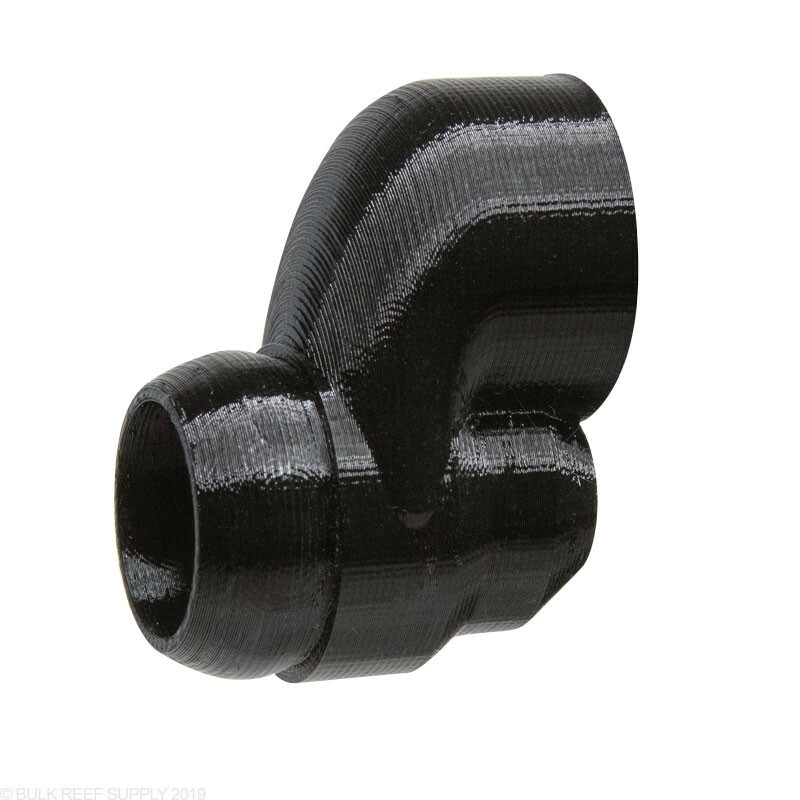 Installation is super easy, just remove the stock return nozzle and replace it with the slip adapter and you are done! Just add your favorite Loc-Line nozzle or Vivid Creative's RFG Nozzle. No glue, tape, heat, or clamps are needed! I emailed VCA about the fit on My Red Sea Reefer 250 V3 and they responded quickly with a diagram, that is on VCA’s web site, about proper drop adaptor/nozzle installation. The drop adaptor fits perfectly following their procedure and is secure. Works without pulling any air into the rear nozzle slots as long as the nozzle is not parallel to, or pointed up at, the waters surface. It needs to be angled slightly downward and when angled down it still gives a varied surface agitation. Shimmer lines using Kessil LED’s are quit random. I talked to the owner/creator/manufacturer at Reef A Palooza in Anahiem last month and must say their product line is outstanding and growing. I had already been using two of the nozzles before the show and I am continuing to purchase their excellent products for my other tanks. That being said, unfortunately this drop adaptor does not fit my Red Sea Reefer 250 version 3 output nozzle. I bought this and the random flow generator. Neither would fit properly. One was too big and kept falling off and the other was too small and would not fit. 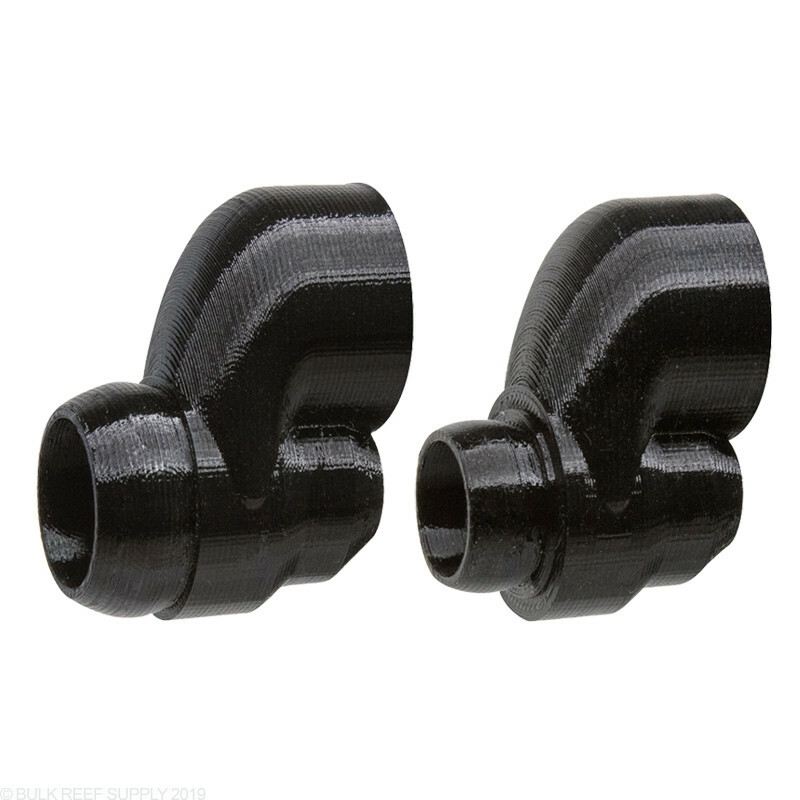 I bought my VCA nozzle directly from VCA (sorry BRS), but I had to reply to the disgruntled customers here. The nozzle is fantastic, works exactly as described & possibly even better. The problem is that you probably don't know how to read tubing dimensions correctly. Before you complain, neither did I. When in doubt, call VCA. They solved my issue & replaced the nozzle I bought (incorrectly) ASAP. Buy by actual size, not by Red Sea model says the returns are dimensionally. They change from specs by availability. VCA is great at service, as is BRS, but if you don't know, take a pic with a ref rulers to get the correct, and incredibly functioning, size. I've been using the drop adapter on my Red Sea Reefer 525xL for the better part of two years now. It fits snugly and doesnt slip off at all - I use it as well as the slip adapter for VCA RFG nozzles. This is 3D printed. Perhaps it's because of the vagaries of 3D printing (note that it worked for one reviewer above, but not another), but this is nowhere NEAR the correct size for the Red Sea Reefer return nozzle that it is specified to fit. Completely useless, and a waste of money. I was able to connect it to the Reefer return and lockline hose without fear of it breaking. Writing this review on behalf of everyone who was satisfied with this purchase and didn't feel a burning desire to leave a review about it. I wanted to attach this to my tank and it was too large to slip on to the return plumbing nozzle. I would gladly change my review if I am doing something incorrect but it looks like it wasn't sized correctly.